This movie is scary and unforgettable. Top 10 of 2011. A rare instance where the film is more haunting and affecting than the novel (by Lionel Shriver). 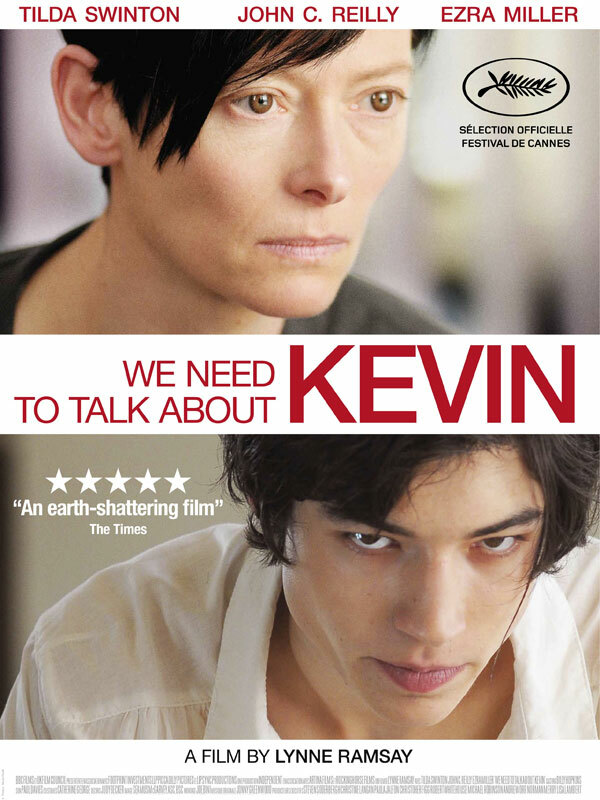 Gripping, heavy, sad, anxious, horrifying film. Incredibly well-planned and executed. Not entertaining to watch — psychologically brutal involving a f***ed up kid and a school shooting — but a prodigy of making film into true, devestating art. The pacing, the soundtrack, the flashback tool, the imagery and metaphors, the layers slowly peeled away, what is shown and what is not shown. Amazing. Again, I’m not saying I liked this film’s content, and will probably never watch it again, but it does what film does very, very well, and it will be with me for a long, long time. I hated the first few minutes, then understood something about it, and was trapped in the film for almost two hours. You could talk about this film or book with a friend or a group for hours. I can say no more. If you want a deeply unsettling story with masterfully crafted writing and photography and flow, watch this now. You’ve never seen anything like this: a family and social drama that is almost part of the horror genre.